After trying many recipes of beef stew, it became clear, the quality of the beef matters greatly. To achieve that tender cut-with-your-fork quality the beef must have that perfect ratio of fat to meat. Many of the cuts sold as stew beef are far too lean and no matter how long you cook they will never get tender. This beef stew showcases beautifully marbled boneless short ribs – The perfect choice. Heat a Dutch oven or large skillet over medium high heat, then add the salt pork and cook until the fat is rendered and it is golden brown. 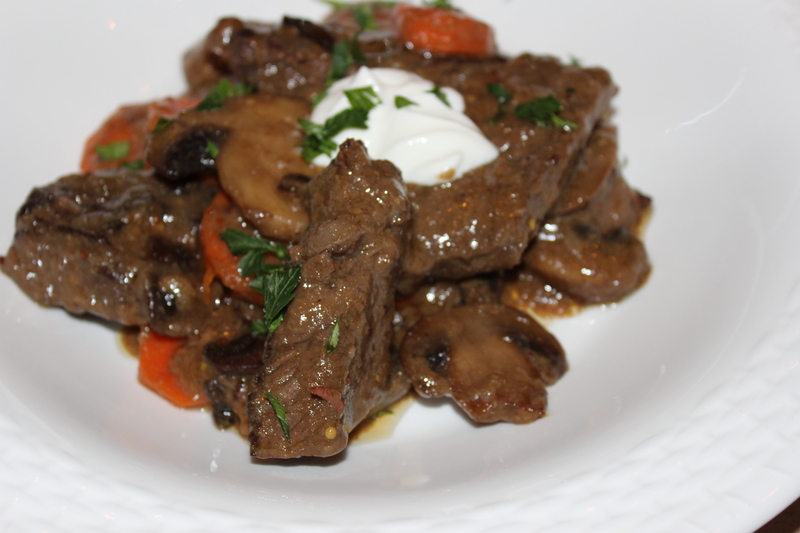 This entry was posted in Recipes and tagged beef, Boneless beef short ribs, Cognac, Dijon, Make ahead, stew. Bookmark the permalink.